On January 1, 2016, Ben moved PHP to Stamford, CT, expanding from 2,000 to 8,000 square feet. The additional space has enabled them to expand and use unique equipment that has helped produce five Stanley Cup winners, Olympic gold medalist, NHL All-Stars, a Hart Trophy winner, Art Ross winner, Conn Smythe winner, and a Hobey Baker finalist. Ben has trained players from all 30 NHL teams as well as members of the OHL, KHL, QMJHL, USHL, AHL, German Ice Hockey League (GEL), National League A Switzerland (NLA), Finnish Elite League (FEL), NCAA, Olympics, World Cup, and World Championships. 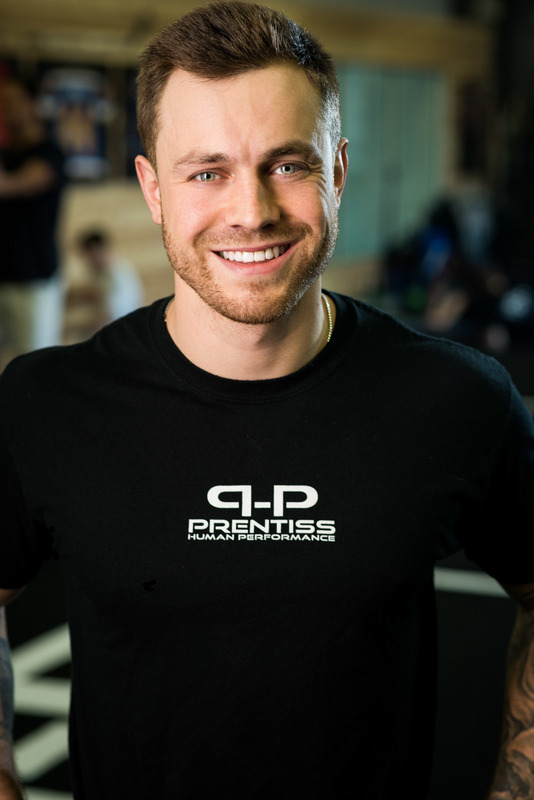 Most recently Ben was named Director of Hockey for Boston University and serves as a Strength and Conditioning Consultant for the New York Rangers. Originally from Norwalk, Rob played tight end for Pace University before transferring to Sacred Hearth University to study exercise science. His love for football continued as the strength coach at Trinity Catholic High School in Stamford, CT. During his four years there the team won two city championships and reached the playoffs for the first time in 19 years. Rob also advocated for an overhaul of the team's weight room. Before starting as an intern with PHP, Rob worked at a health supplement store called Tommy K's, realizing the importance of nutrition interventions. Rob is responsible for a number of the client evaluations and writes programs under Ben. He embraces the challenge of program design helping to make each athlete the best they can be. Brian Elser is from the New York Metro area and grew up playing hockey. Brian attended Shattuck St. Mary's High School in Faribault, MN, where he won back to back National Championships. After Shattuck, Brian played hockey for Manhattanville College where he studied psychology. He continued his hockey career playing for minor league affiliates of the Boston Bruins, Arizona Coyotes and Ottawa Senators. After retiring from playing hockey, he sought to continue his involvement with hockey, albeit in a different capacity. Brian joined the PHP team in 2015. Kyle holds two degrees from Winona State University in Minnesota and has worked at BCS schools Clemson and Wisconsin. At Clemson, Kyle assisted with all Olympic sports before moving on to Wisconsin, where he was a strength & conditioning intern with men’s and women’s basketball, men’s and women’s hockey, golf and spirit squads. Kyle also serves as the strength and conditioning coach for the Boston University Terriers' women's field hockey and men's ice hockey programs, where they describe him as someone who brings a wealth of knowledge and enthusiasm to their program. Ashley graduated from Boston College with a B.A., and went on to further her knowledge with a master's degree in human nutrition from the University of Bridgeport, CT, one of a few institutions that offer a graduate program in the nutrition field. There she conducted research on the effects of trend diets and detox programs have on weight loss and chronic disease symptoms. In additional to her degree studies, Ashley has studied with some of the most popular and influential practitioners in integrative nutrition. With a special interest in gut-brain connections and gluten sensitivity she advocates the importance of an anti-inflammatory diet for athletes. A complement to athlete nutrition she is trained in blood chemistry analysis, thyroid dysfunction and food sensitivities. Since 2009 Ashley has been advising PHP athletes on diet and supplements. Enjoying a hands on approach, she has attended classes at the Institute of Culinary Education and the Natural Gourmet School in New York City and often works with clients in the kitchen. Hammer's duties include being the PHP Mascot, providing customer care, facility security and surveillance. He has been part of the team for 6 years and enjoys snacking, sunbathing and playing catch. Hammer challenges other athletes in the gym with his 42 inch vertical jump and 9 foot broad jump.